By adding your Samsung account, you gain access to various services, as well as additional back up and synchronization options. 3 Swipe to and touch Cloud and accounts. 7 Enter your Samsung account credentials and then touch SIGN IN. 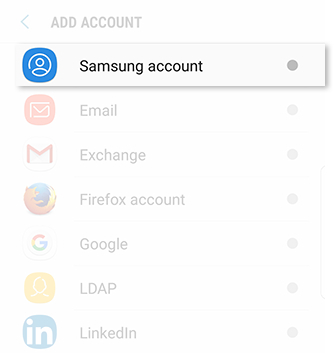 If you do not have an existing Samsung account, select CREATE ACCOUNT, and then follow the on-screen prompts. Galaxy Note8: How do I backup my device data on external storage? Galaxy Note8: How do I add a Google account to my Samsung Galaxy Note8 (SM-N950W)?